The cloudBuy system needs to be massively scalable and at its heart is the cloud generator system. 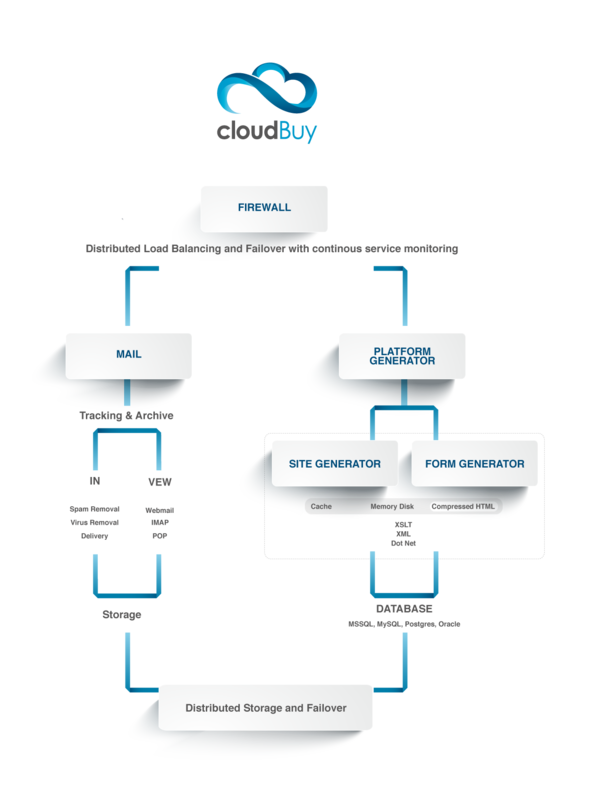 Cloud generator is capable of creating new email or ecommerce clouds on demand, this combined with the very high efficiency of both Cloud Email 4 Business and Platform Generator means that we are able to quickly meet our customers scalability needs. It also allows us to ensure that we can meet your needs no matter how large your business grows.